As Heidi Klum is fond of saying, "In fashion, you're either in, or you're out." But there are some industry personalities that simply never go out of style. 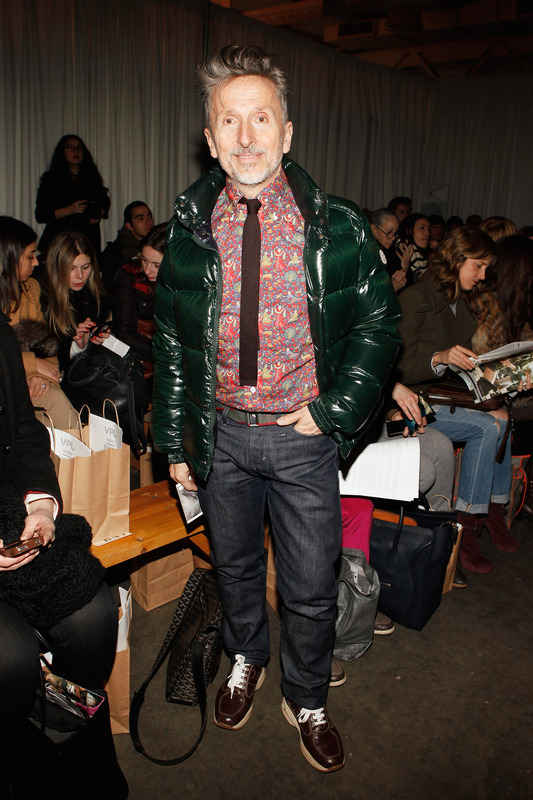 Simon Doonan is one of the those personalities. Despite his decades-long career — during which he moved from sales associate at an English department store, to window dresser-turned-Creative Director at Barneys New York, to accomplished writer — the fabulously inspired Doonan never seems to run out of steam. His latest book, The Asylum: True Tales of Madness From a Life Lived in Fashion, which comes out in paperback on February 5th after having first been released in 2013, is a delightful collection of autobiographical essays that Doonan himself describes as his "love letter to the fashion world." In the book, he muses on such incidents as the time the ceiling caved in during a Michael Kors runway show with great humor and clarity ("I stopped drinking alcohol in 1985," he explained, when I asked him how he remembers all those hilarious moments. Fair.). He's able to poke fun at an industry that often takes itself very seriously without ever coming across as offensive or ungrateful. The comical, at times self-effacing, tone of the book is what keeps it relatable to those who can't tell Diana Vreeland from Diane von Furstenberg. Doonan sat down with Bustle to chat about his book, his favorite designers, and, of course, those floral shirts. Here, the six biggest lessons I took away from our conversation. Despite the prevalence of rich bloggers getting all the notoriety, Doonan doesn't believe the industry has become sterilized in any way. "I think fashion has never been more dazzling and interesting than it is now," he said. "There are loads of crazy creative unconventional people working in fashion. But the fashion landscape is so much larger than it was in the 70’s and 80’s so you have to look a bit harder for them." While many off-duty models stick to black v-necks and relaxed denim, Doonan prefers a more statement-making signature look. "Flowery button-down shirts were a mid-'60s Carnaby street trend," he said. "I love them and will probably end up being buried in one." Obviously, I had to ask about diversity in fashion — lately, every step forward (Tess Munster being signed to Milk Management) seems to come with a big step backward (white models made up 92 percent of 2014's major magazine covers). "I am a huge believer in diversity in all areas," Doonan said, "so fingers crossed." Indeed. Naturally, after years in the industry, it was hard for Doonan to narrow his favorite designer of all time. He did, however, call Jean Paul Gaultier "probably the most creative dude of all time," and thought Gaultier's premiere for Margiela was "intriguing, beautiful and very creative." I pushed Doonan to talk about his most hated trend in recent years (Normcore? Health Goth? ), but he refused to pick non-favorites. "I am not judgmental," he explained. "I can get behind anything if it’s worn with enough conviction." For anyone panicking about a quarter life crisis (guilty), stop. Don't freak out about being stuck in one job for the rest of your life! "I started writing when I was 48," Doonan said. "Before that it never occurred to me. I feel lucky to have found a second career."